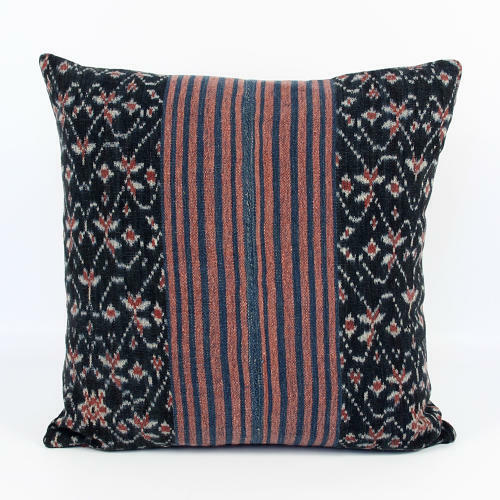 This cushion is made from a vintage ikat from the island of Savu, Indonesia. The colours are dark indigo, so dark its almost black, with a soft madder colour from the vegetable dye morinder. The cushions is self backed with zip closure and feather pad.